Visualize about your home taking care of itself! Think about enhanced comfort, improved convenience, robust security and smart energy management. 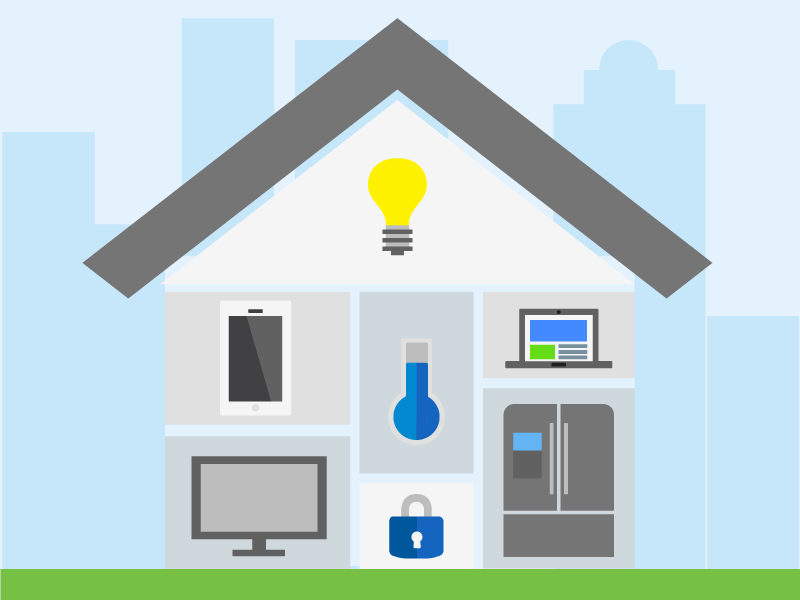 Yes, home automation technology can influence every aspect of your daily living! Let your home surroundings be full of smart equipments and let centralized automation control change the way you live! Automation technology enables you to achieve perfect WOW factor in the premises. Automation is all about giving the ambience to your premises to suit your mood that to on a click of a button on your phone, tab, dynamic wall panel or from a multi – device remote. Press movie mood on your phone or on dynamic wall panels and see lights, curtains, hvac and audio video equipments getting adjusted by itself as per your plan or press a cooking mood in evening and get the lights, chimney & curtain getting adjusted along with the back ground music of your choice. Similarly press your favorite channel on your phone and see TV, SET UP box getting adjusted along with ac & lights & curtains. Enjoy mood lighting and dimming effects at will. Airs plays songs of your choice at your will in your premises and enjoy music like never before. Let different people enjoy different songs in different area at the same time. Make a queue of songs to be played during party at your premises. Let you really enjoy having curtains. Let your bed room curtain open at every sun rise and close at every sun set. Giving you amazing life style. With our solutions you can plan multiple moods & scenes combining any third party equipments available in your premises. Focus on meetings in board rooms & movies in home theater rather than putting your brain in adjusting different equipments. Now your walls are clean and no more conventional switches required. No more hassle of handling multiple remotes and still not be able to achieve desired ambiance. Get all your devices operated by one single remote. No need to monitor external lights they will turn on n off as per your suggested plan. Never mind turning them on or off even by giving sun set or sun rise logics. Gets real time feedback of status of all devices sitting at one place. Perfect solution for elderly people at home to manage premises with ease. Bring all electrical & electronic devices on single platform. Best part is any brand any make. Access and Control your Smart Home remotely using Smart Automation App on your Smartphone from anywhere in the world. Get the things programmed as per your need and change the pattern at will. Have a smart switch less premises. Attend your visitor at door even while you are away from premises on your phone. Let your room fresheners’ & geysers work when required. Let your motors & sprinklers turn on n off without manual interference. Energy control lets you save big on electricity bills month after month. HVAC Controls enable you to set room temperature for each room and allows automatic Turn ON/OFF as you enter in the room or leave it. Lights in passages and in wash rooms will only operate when required. Switch off all devices in an area when not in use. Monitor your premises from distant location. Gets alert for intrusion in your absence. Program the system in home alone mode and never let your surroundings know about your presence in the premises. The list of advantages goes on. Our solutions are cost effective, maintenance free, dependable and non-complex in nature. We have both wireless & wired technology. We have global presence and we provide maintenance and support for life. Approach us we are just a call or click away. © Copyright 2015. All rights reserved by: amiteksmarthomes.